"Black Widow" redirects here. For other uses, see Black (disambiguation). When a mouse is able to swipe a single piece of SUPER|brie+ from a hunter's trap, Widows often follow the lucky mouse and lure them into a tangled trap of their own. Their lust for magical cheese seems to grow stronger with each piece they add to their stash. Extremely sensitive to their surroundings, their ability to detect even the slightest vibration make these stealthy mice somewhat hard to find. No Charms are required to attract the Black Widow Mouse. Because the Black Widow Mouse is rarely encountered, Hunters should arm weapons that are effective against the majority of the mice they will encounter in their current location. The Black Widow Mouse drops the Black Widow Egg during the annual Spring Egg Hunt. The Black Widow Mouse was the first visually female breed to be released. 5 August 2009 through 10 August 2010: The Black Widow Mouse was counted as one of the Rare Breeds (along with a variety of Prize mice and Special Event Mice) that could help hunters earn a Bonus Mice Badge. The Black Widow Mouse was subsequently removed from the Rare Breeds list and now counts towards the Breeds Caught total as a member of the Indigenous group. 14 April 2011: The Black Widow Mouse began dropping a bonus Black Widow Egg as loot during the Spring Egg Hunt 2011 event. 29 August 2012: The Black Widow Mouse began dropping the Ancient Relic as loot. 25 June 2013: The Black Widow Mouse gained a vulnerability to Law power type traps, with the release of Varmint Valley. 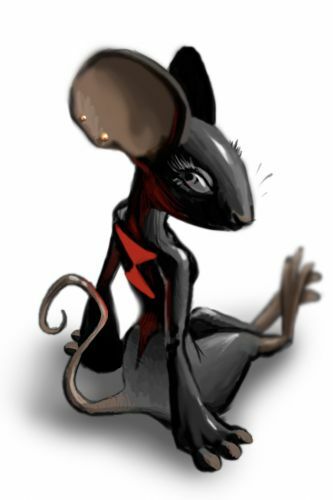 19 September 2013: As part of the Gnawnia mice population shift, the Black Widow Mouse was removed from the Meadow and Town of Gnawnia locations. 25 March 2014: The Black Widow Mouse gained a vulnerability to Rift power type traps, with the introduction of the Rift Plane. This page was last edited on 8 April 2019, at 00:50.